Using Bitcoin as a currency means competing transactions. When the Bitcoin transaction numbers are on the decline, people get concerned. It seems to indicate there is less demand for BTC, as well as little interest in effectively using it. At the same time, the Bitcoin transaction volume is affected by a lot of different factors. As has become apparent recently, transaction batching is quite popular now. This means people will see “fewer” transactions, but it’s a positive development overall. Batching leads to lower fees and faster confirmation, which is all anyone can ask for. Even, we are currently at the Bitcoin transaction level of October 2015. It is clearly not the sign people are looking for. Looking at the bigger picture, the Bitcoin transaction volume was increasing quite rapidly. This trend has become apparent for several years now. Even so, there have been a few dips along the way. This is by far the steeper dip, but it is not just because there is less economic activity per se. Looking forward, things may very well pick up once again. The Malta Gaming Authority has recently published guidelines on crypto and Blockchain application in the gaming industry. Seoul intends to create its own cryptocurrency and develop a better environment for Blockchain and virtual currency projects, says mayor. Insurance firm refuses $2.8 mln claim by hacked crypto exchange Youbit, citing failure to disclose information, which exchange sees as excuse not to pay. US IT giant Cisco filed a patent on a method for decentralized group communication in order to solve common problems faced by ad hoc messaging groups. Chairman of Kazakh National Bank cites lack of regulation and possibility for money laundering as case to ban crypto mining and exchanges to the national currency. Crypto hardware wallet Ledger Nano is Nevadans’ favorite over 2017 Xmas. We are waiting for sign of recovery so our normal signals and everything will be back. Now, main question is why BTC is falling? Is this the end of crypto? No, it is not the end of the crypto! Big guys are in game and it is easier for them to short market and make money then to go long. I do believe that this correction ( not in short-term view but long-term ) will last untill we reach at least 5k but probably even more to 4k. Once all weak hands are out, they will stop shorting it and we can expect long-term bull run! If you want to buy BTC with cash. I think you will be able to buy it cheaper. Maybe price can spike up to 7.5-7.8k because keep in mind that correction is not straight line down! It has also small uptrends but overall trend is negative. I am just checking all these channels and they are very bullish, I told you at 8k my prediction ( scroll up to check it ) and as you can see it is already down for 15-20%. I am not going to tell you what you want to hear, I am going to tell you the truth and my opinion. I am not the best, I make mistakes too but I will never lie and say something that I do not think it is going to occure! Share with your friends, help them understand the market! It is short-term problem but long-term it is not a big deal! Of course, if you invested more than you can afford to lose, then it is huge problem for you. There is not FUD now, no one is banning BTC but it is going down! Why? Manipulation! It is easier to short BTC than to go long for equal gain! Also, these that are not owning BTC heard rumorrs about BTC at $3k and they are sharing that every single day! So, whales are not the only problem for BTC price. This is proof that crypto market is regular market it is going through uptrends and downtrends! If you have $ and willing to invest, wait! You can buy cheaper, I am sure! 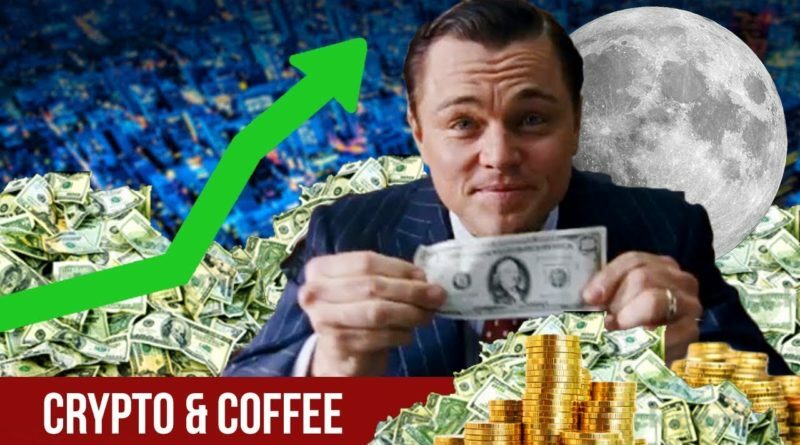 If you are in BTC, then in my opinion, it is too late to sell because if you sell under 7k and hoping to buy at 5k hmm not so big gain but high risk! If you know margin trading, then probably you can short it without selling BTC and probably make some money! My biggest problem now is what to do with ALTs. When you say alt coins it is not easy to say hold or sell. It depends which altcoin you are holding. We didn’t expect so long correction. We thought 2nd half of March will be better and we waiting for sign of recovery but it didn’t happen. 2) Selling BTC around $8200-8500 into fiat ( I know it was shared in paid group but I think I mentioned that here too but I am not 100% sure ). 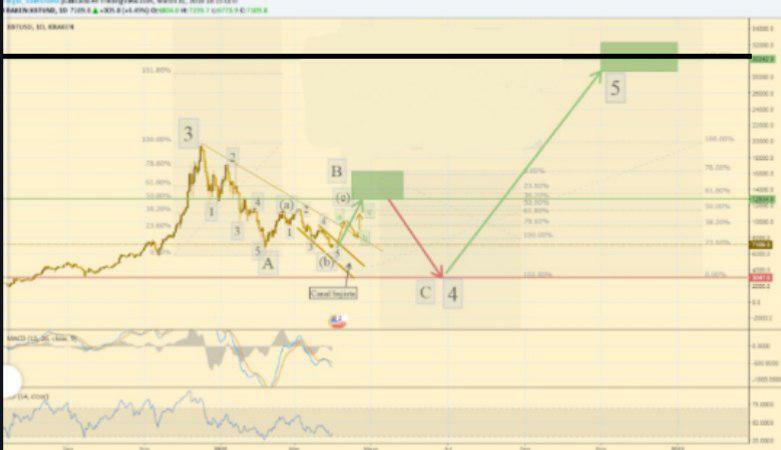 #BTC prediction : Here we’re looking at #BTC price , potential to give a promising short term Bullish WAVE. after that we can see our CMO crossing over “Zero” Indication of a bullish swing1 in accordence with 200DAY M.A indicating volatility contractions and Oversold price action on Daily Chart!